Australia’s biggest coal mine, the Carmichael Coal and Rail Project, yesterday received the go-ahead from the federal government. Environment minister Greg Hunt approved the mine, proposed by Indian coal company Adani Group, with 36 conditions to reduce the impact on water, wildlife, and threatened ecosystems, including returning 730 megalitres of water to the environment every year. But experts warned the conditions do not account for the mine’s contribution to climate change, and may not be stringent enough to prevent damage to sensitive groundwater systems. Hunt said that the mine was subject to the “some of the strictest conditions that have ever been imposed”, and denied the development will directly affect the Great Barrier Reef as claimed by some green groups. He said the Carmichael mine will lead to up to 3,000 jobs during construction, and a further 4,000 permanent positions. The mine, which will produce up to 60 million tonnes of coal for electricity each year over 60 years, is proposed for the Galilee Basin, one of Australia’s richest coal reserves, in south west Queensland. It will include six open cut mines and up to five underground mines over 200 square kilometres. The Carmichael mine is the fourth project to be approved in the area, including GVK Hancock’s Alpha Coal Project approved by Labor in 2012. At least a further five coal projects are awaiting approval. Earlier this year the Queensland Land Court, following a challenge by communities, said the Alpha mine should only proceed if the development meets further conditions on water use. Professor John Rolfe, a regional development expert at Central Queensland University, said that the environmental impacts are all “significant issues, but potentially addressable”. He said if India was not using Australian coal for electricity, it would find other sources. He said the mine could offer “very large” economic benefits thanks to its scale and lifetime, but that it would depend on where the workforce was sourced. Under the environmental assessment process, greenhouse gas emissions from construction and day-to-day mining operations are included, but not emissions from burning the coal for electricity. Professor Roger Jones, climate expert at Victoria University, said the total emissions from the Carmichael mine (including burning the coal) could account for 4% of global emissions by mid century under a scenario designed to keep warming below 2C, contributing between 0.011-0.027C to warming. Professor Jones, who testified as an expert witness in the Queensland Land Court against the Alpha Coal mine, said if all coal mines under consideration for the Galilee Basin were operating they would exceed 10% of global greenhouse gas emissions. The mine is inconsistent with a goal to keep global warming below the internationally-agreed guardrail of 2C, Jones said, and was more in line with warming of 4C, which would cause the widespread deaths of coral reefs, collapse of ice sheets, major ocean acidification and disruptions to agricultural systems, among other impacts. Earlier this year a panel of independent scientific experts raised concerns about groundwater, particularly the ability of Adani Group to model and monitor groundwater flows. In approving the mine, minister Hunt said he had accounted for the concerns. But groundwater expert Matthew Currell at RMIT University said the timeline of the mine might not allow Adani Group to get the modelling right. 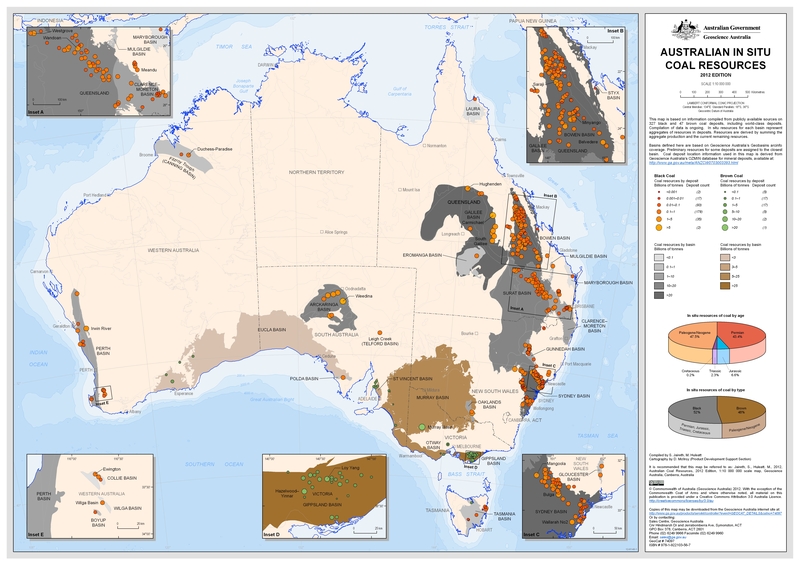 The Carmichael mine, thanks to its sheer size, would have a significant impact on groundwater levels and flow, streamflow dependent on groundwater, and sensitive springs in the Great Artesian Basin, Currell said. UPDATE: This article was updated July 29 to clarify the carbon emissions from the mine. It was further updated on July 30 to correct the statement that the Carmichael Coal Project is the second coal project to receive federal approval. It is the fourth.